There are many ways to get into the wine industry. Kelowna photographer Brian Sprout started right after high school by spending three years as a bottling line mechanic at Calona Vineyards. Now he is one of three partners in SpierHead Winery which opened in July at 3950 Spiers Road in East Kelowna – more or less the head of Spiers Road. The journey from the bottling line to the winery was not exactly a straight road, perhaps because bottling lines seldom inspire much wine passion. Brian was turned on when he visited the Napa Valley in 1979. He’s returned to Napa almost every second year, at least until the opening of SpierHead. This will be a winery to watch. The consulting winemaker is Tom DiBello, formerly of CedarCreek, one of the most accomplished winemakers in the Okanagan. 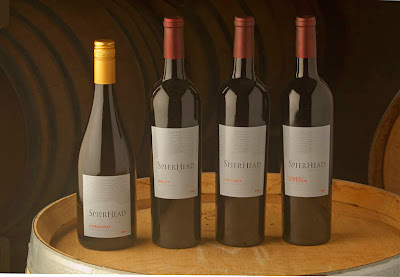 The winemaker of record for the five wines SpierHead has released is Richard Roskell because, until SpierHead’s own winery was completed this year, the 2008 and 2009 vintages were made at Richard’s boutique Marichel Winery on Naramata Road. And because SpierHead’s own vines will start producing only this fall, and then not much, the grapes come from Harry McWatters’s Black Sage Road Vineyards, a superbly run vineyard. It seems that he has the right pieces in place. Brian was born in Kelowna in 1952, the son of the soil scientist who ran the Ministry of Agriculture office there in the 1960s and 1970s. After his three years on the bottling line, Brian decided he would rather be in photography. In 1973, he enrolled in the film-making program at Ryerson in Toronto. Later, he switched to photography, a field which then offered more opportunity. On graduating in 1977, he partnered with a friend in Victoria to set up a small advertising agency. When that partnership dissolved two years later, he moved to Vancouver, working as a photographer for the short-lived Vancouver Daily Courier. That paper intended to compete in the Vancouver market but abandoned its ambitions when the established dailies settled a nine-month strike. After the collapse of the Courier job, Brian became a successful freelance photographer. In 1998, he moved back to the Okanagan as the Vancouver Sun’s primary freelance photographer. The Vancouver dailies were the first in North American to switch to digital photography and Brian was in on the ground floor of that technology. It gave him an advantage over many photographers in the Okanagan at the time. 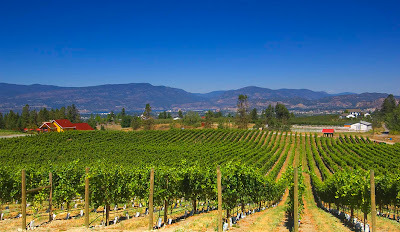 His assignments were primarily features, often involving the British Columbia wine industry which was just taking off. Brian photographed many winery owners and shared a mutual passion for wines. He became the “go-to” photographer when the Okanagan wineries needed images. 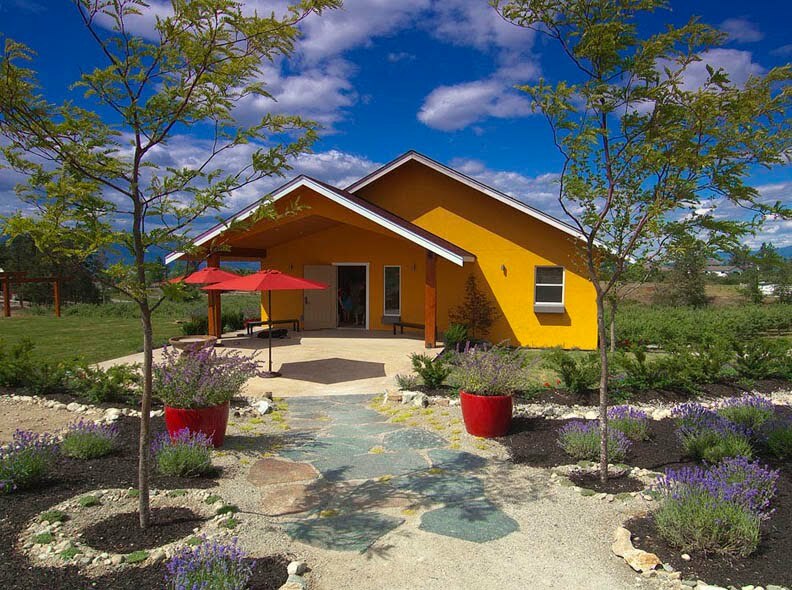 His “big break”, as he calls it, came in 2000 when Mission Hill put him on a retainer to document the winery’s redevelopment, an assignment that lasted five years. In fact, he did plant a few vines at his Vaseux Lake recreation property. But in January 2006, when he and his companion were the only patrons at Burrowing Owl’s restaurant, Brian concluded that, if he were to open a winery, it should be located where there was more year-round business. 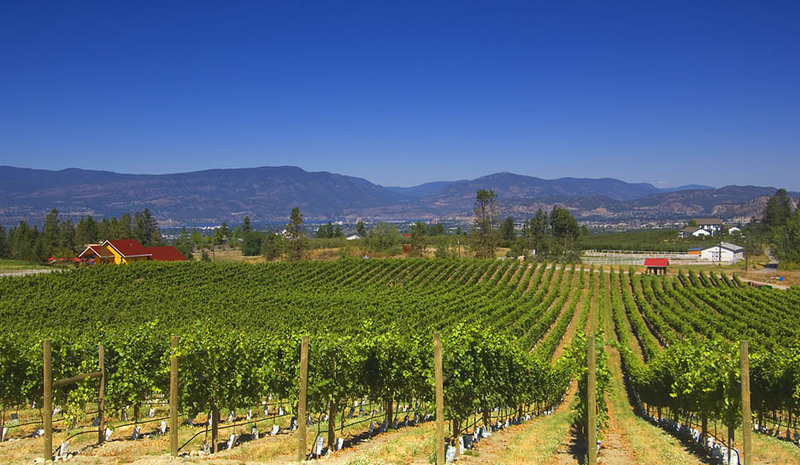 The SpiersHead winery is 10 kilometres from downtown Kelowna. The 20.4 acre property is a former apple orchard; all but the four remaining acres of apple trees were pulled out when Brian and his partners bought it in 2007. In the spring of 2008, they put about 13,500 vines on 6 ½ acres. The planting consists of 4 ½ acres of Pinot Noir (three clones), 1 ½ acres of Chardonnay (three clones) and Riesling. The varieties were chosen on the advice of winemaker Tom DiBello and Ben Stewart, one of the owners of Quails’ Gate Estate Winery. In his years as a photographer – Quails’ Gate was one of his clients – Brian has developed a remarkable network in the wine industry whose expertise he can tap. He came to know Tom DiBello while shooting images for CedarCreek. When Tom and his wife had to evacuate their home during the 2003 forest fire, they stayed with Brian and Virginia Sprout. His partners are William Knutson, a high school classmate who is now a Vancouver lawyer, and Bruce Hirtle, a semi-retired Vancouver investment dealer with family roots in the Okanagan. Bruce is primarily a silent partner but William and his wife Marina are generally in the winery’s tasting room on weekends. The winery opened with 72 cases of Cabernet Sauvignon ($33); 190 cases of Merlot ($33), 119 cases of a Bordeaux blend called Vanguard ($40)(all from 2008), and 185 cases of 2009 Chardonnay ($25). Most will be sold by Thanksgiving. Production is scheduled to increase, both from the estate vineyard and from purchases of premium grapes. Brian’s target is to reach a production of about 5,000 cases, having been persuaded by a Washington State University study that that is an efficient and potentially profitable model for a hands-on winery run by three people. The stars in the debut release, in my view, are Vanguard and Cabernet Sauvignon. Vanguard is a blend of Merlot, Cabernet Sauvignon and Cabernet Franc (percentages not available). A wine with a fine dark hue, it has bold aromas and flavours of plum, black cherry, liquorice and chocolate nicely framed by the oak. It is a bit brooding in its youth but a few years more in the cellar will liberate sweet fruit flavours. 88-90. The Cabernet Sauvignon is a beefy wine, with aromas of plum and vanilla and flavours of ripe, red fruit, with vanilla on the finish. 87-88. I'm so glad you reviewed SpierHead. Their merlot is fantastic. I hope they get "discovered" quickly! Thank you for your review of Spierhead Wines. We visited their tasting room last week and we especially enjoyed the Chardonnay. SpierHead has made some impressive wines. I am particularly fond of their Merlot.